Black Americans are at the heart of the greatest achievements of our history, from music to law, from politics to sports, from literature to religion. Now the two leading African-American intellectuals of our day show us why the twentieth century was "The African-American Century," with one hundred original profiles of the most influential African Americans from W. E. B. Du Bois to Oprah Winfrey. Henry Louis Gates, Jr., and Cornel West offer their personal picks of the African-American figures who did the most to shape our world. Here we find much-loved figures such as scientist George Washington Carver and civil rights leader Martin Luther King, Jr., and contemporary favorites such as comedian Richard Pryor, novelist Alice Walker, and golf champion Tiger Woods. We also learn about less well known people such as jockey Jimmy Winkfield, aviator Bessie Coleman, and filmmaker Oscar Micheaux, and recognize the achievements of controversial figures such as activist Angela Davis, Nation of Islam leader Louis Farrakhan, and rap artist Tupac Shakur. Each profile is a lively story in its own right. But taken as a whole, these one hundred stories offer a unique window on the history of the twentieth century. Decade by decade, we marvel at the triumphs of a people who began the century only thirty-five years "up from slavery," and ended it at the top of every field. The result is a moving testament to the humanity and genius of black Americans, both individually and together. 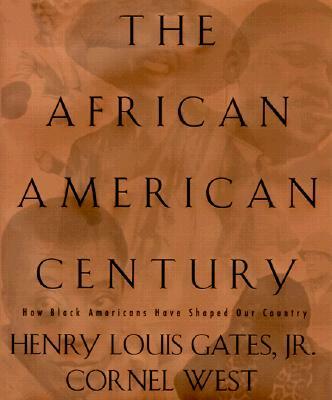 "The African-American Century" reminds us that there would be no American culture without black America. Without Louis Armstrong, Miles Davis, or John Coltrane, we would have no jazz. Without Zora Neale Hurston,Ralph Ellison, or Toni Morrison, we would miss our greatest novels. Without Joe Louis, Jackie Robinson, or Althea Gibson, we would have none of our most glorious triumphs in sports. Without Thurgood Marshall, Dr. King, or Barbara Jordan, we would be deprived of the political breakthroughs that affirm and strengthen our democracy. Whether we are laughing with Bill Cosby or dancing to rock 'n' roll, whether we are listening to a great preacher or stunned by the power of a Spike Lee film, whether we are building a business empire or fighting for justice -- we are all shaped and influenced by the African-American experience. Written in a lively, accessible style and fully illustrated throughout, "The African-American Century" is a celebration of black achievement and a tribute to the black struggle for freedom in America that will inspire us for years to come.